The eagerly anticipated follow-up to Earthless Trees, a book of short stories by young refugees in New Zealand, has been released. 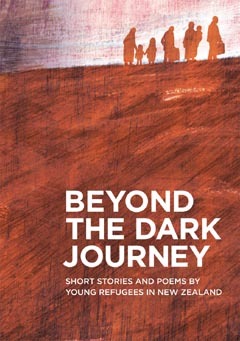 Beyond the Dark Journey is a new compilation of short stories and poems by young people from Sudan, Burma and Afghanistan. The writers are all former refugees who have attended creative writing workshops run by Samson Sahele of Wellington Refugees as Survivors Trust. The stories and poems in the second book are from Makuei Aken, Sonita Azizi, Abdalla Gabriel, Fahim Azizi, Margaret Lakot Pompeo, Sonia Aziziz, Angela Aye and Julia Tha. Earthless Trees, which was published in late 2008, sold more than 1500 copies – a record for a publication of its kind. Original generation time 1.6237 seconds. Cache Loaded in: 0.0005 seconds.